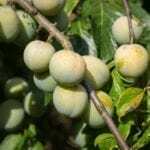 Kiwi plants offer lush ornamental vines in the garden, and produce sweet, vitamin-C-rich fruit. The vines generally grow vigorously and are low care backyard residents. Healthy kiwi leaves are a brilliant green during the growing season, and you might well become worried when your kiwi leaves turn brown or you see yellowing kiwi plants. Of course, it is natural that kiwi leaves turn brown and yellow just before they fall in winter. 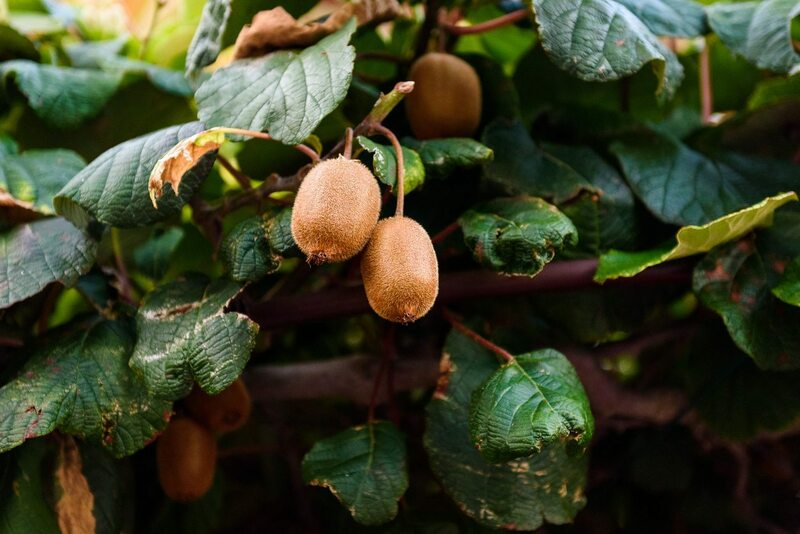 Read on for information about what steps to take when you see your kiwi leaves turning yellow or brown during growing season. Why are My Kiwi Leaves Turning Brown? When you see the edges of kiwi leaves turn brown, check the planting location. Kiwis need sun to thrive and produce fruit, but if the sunshine is too hot for too long, it may scorch the edges of the leaves. This condition is known as leaf scorch. It can also be caused by too little irrigation during drought conditions. Over time, too little water can cause the leaves to drop off the vine, and even result in total defoliation. Kiwi plants absolutely require regular irrigation during the heat of the summer. Sometimes the answer to the question “Why are my kiwi leaves turning brown” involves both too much sun and too little water. Other times it is one or the other. Application of organic mulch can assist the plant with either problem by regulating soil temperature and holding in moisture. When you see your kiwi leaves turning yellow, it could be a nitrogen deficiency. Kiwis are heavy nitrogen feeders, and yellowing kiwi plants are a sign that they are not getting enough. You’ll need to apply nitrogen fertilizer abundantly during the first half of the vine’s growing season. 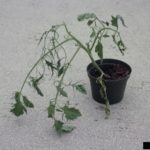 You can broadcast a granular citrus and avocado tree fertilizer on the soil around the vine in early spring, but you’ll need to add more in early summer. Mulching with organic matter can also help with yellowing kiwi plants. Well-rotted garden compost or manure layered over the kiwi soil will offer a steady supply of nitrogen. Keep mulch from touching the stem or foliage. Note that yellow leaves can also indicate potassium, phosphorous or magnesium deficiencies. If you are not sure about your soil, take a sample and have it tested.